And another thing that added on to my joy was that I was wearing my new pair of shoes!!! We, Indians, are still a sceptical lot when it comes to online shopping. So was I, when, while browsing through jabong , I chanced upon these lovely pair of flats. The multiple straps & the beautiful shade of red were too much for me to resist! Also, the fact that it was at 50% discount made matters worse!! So, against all misgiving, I gave in to my temptations and got myself this beauty. Contrary to my apprehension, the website turned out to be very efficient & true to their words. The confirmation of the order was intimidated to me immediately through mail & sms, while the very next morning I got a call from their customer care representative saying that they were sending out the order, which I received the day after! 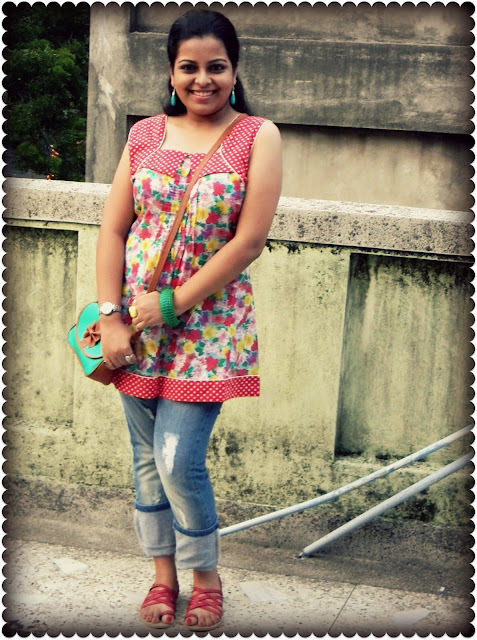 In fact, I can happily say that the product was just as shown in the picture & the size fit me perfectly!! So, all in all, I'm quite happy with my first shopping experience with Jabong.com & look forward to getting myself some more great stuff from amongst their 350 odd brands, most of which are available at great offers & discounts! 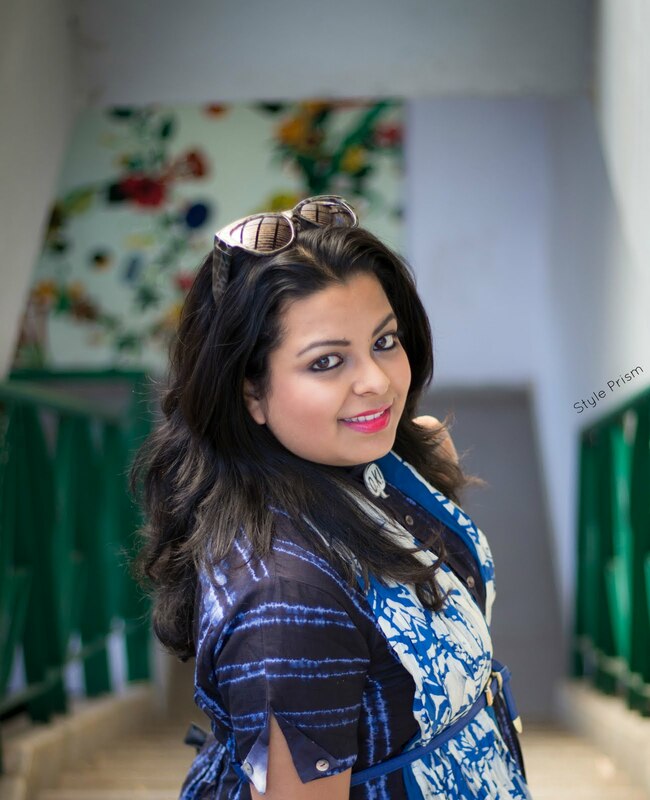 If you want to check out the website & their awesome collection of products, you can click on the Jabong.com link on the right-hand side gadget bar of this blog. So Go to Jabong.com today! Happy Shopping!!! This pretty turquoise drop earrings are also new! 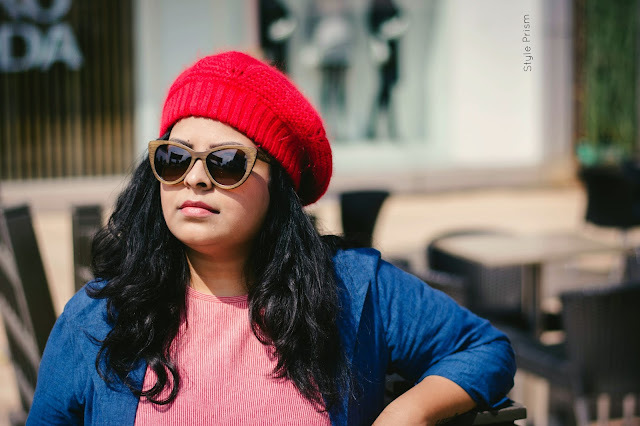 In other news, MAAZU.com (that's one of India's premier fashion blogs whose editorial team I'm on) is holding a competition for all you fashion-enthusiasts & writers out there! "The Maazu.com Sparkle Invite-Only Creative Competition - Win Cash & Recognition" is a great opportunity for all of you out there interested to write about jewellery, get featured in the Maazu Hall of Fame & earn some money too, in the process. Hurry! Registrations are open till Wednesday, 20th of June '12! Glad to see you back, that floral top looks awesome! You need a photographer? wow! I wish I had a good camera! I like those flats! Anupriya, you are a beautiful lady; and this outfit is lovely. Super-cute floral tunic along with some nice cuffed jeans. These sandals are cool too. Many lovely colors you show here. Love your outfit - so cheery and bright!! I've been drooling over the shoes on Jabong.com, but I'm wary of buying shoes without trying them on. But after seeing you, I think I might just give it a try! 'Sweet' is the only word about how you look! I also shopped sometime back from jabong and it was a nice experience!! it's a really lovely and casual outfit..
Hello my beauty, I have been missing your comments so much. Wow - it sounds like you really have been busy! But in a very good way :) I'm so glad to hear that your designs have been so well-deserved, although of course I never doubted that they should be. You're very talented. I love this sweet and fun outfit that you put together for the movies. All of the colours play together just beautifully and those red sandals really are the icing on the cake! 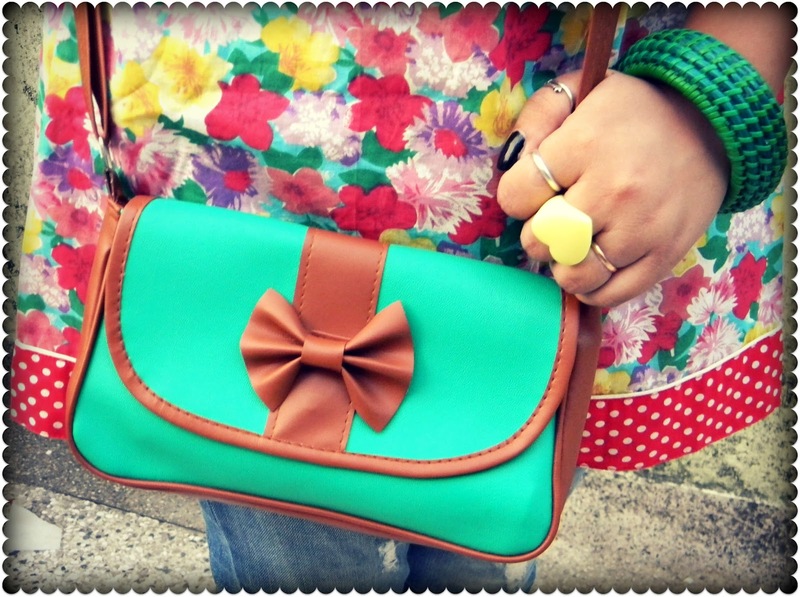 That top is SO cute, and love your bow bag! Pretty sandals and mini bag! I like the sling bag..
Like your floral top:) It's gorgeous! 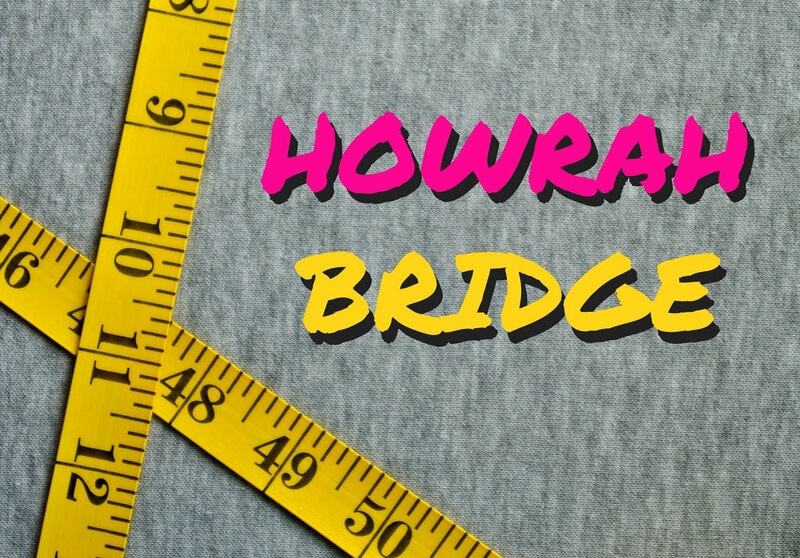 Just checked the Howrah Bridge collection and I must tell, what pretty deigns and talent you possess. I am totally into the online shopping zone these days. 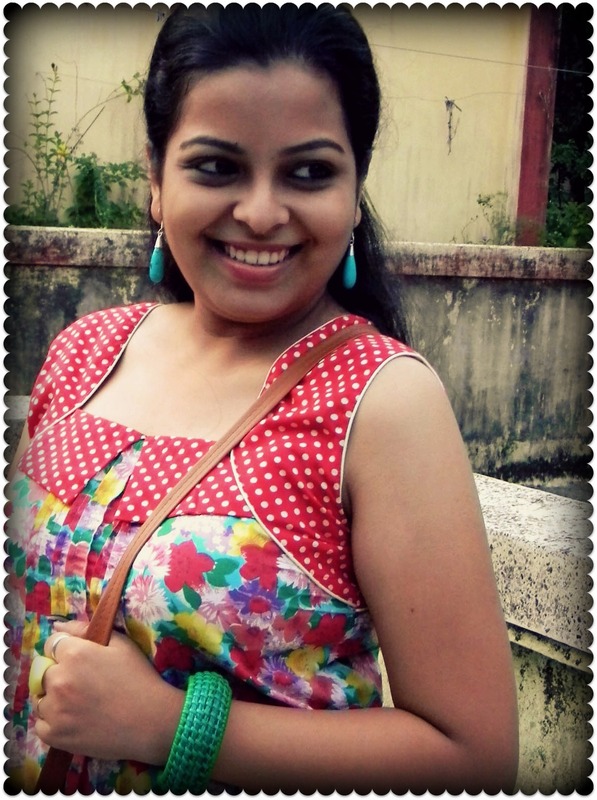 Love the Howrah Bridge floral top and the mint bag. Your pictures exclude how cute and chirpy you are in person..honestly! 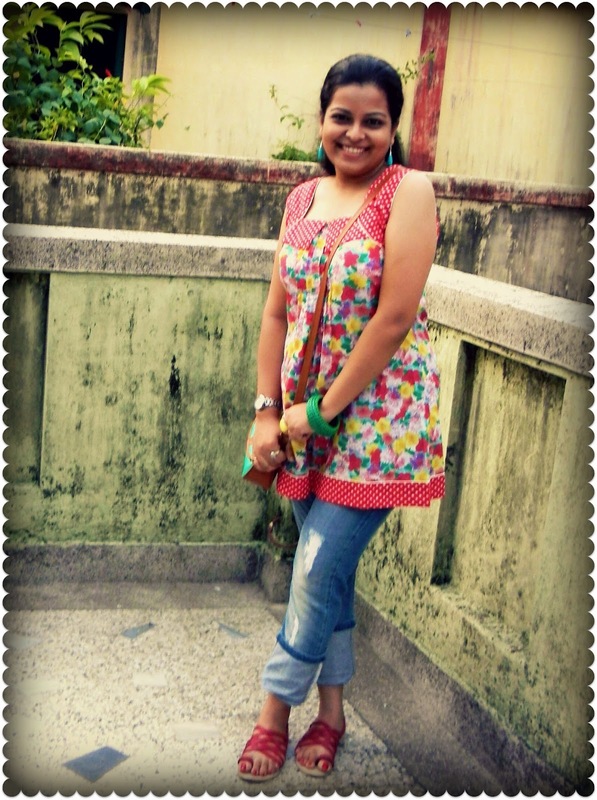 P.S Did I mention how chic those flats are :)Would love to team them up with whites!! new post kobe ashbe? !send me some of the pics you took..i am still editing mine..